The question is almost always filled with both curiosity and sincerity. It’s one of the first things those new to the concept of unschooling want to know. What does it look like in your house? The answer – to all of the above – is it depends. It depends on the day. It depends on the season. It depends on our needs. It depends on our current interests. It depends on our moods. The beauty of unschooling is that it is never a static proposition. It’s a not-fixed entity, with rules and schedules and “do’s and do nots”, but a living, breathing, changing and fluid organism. 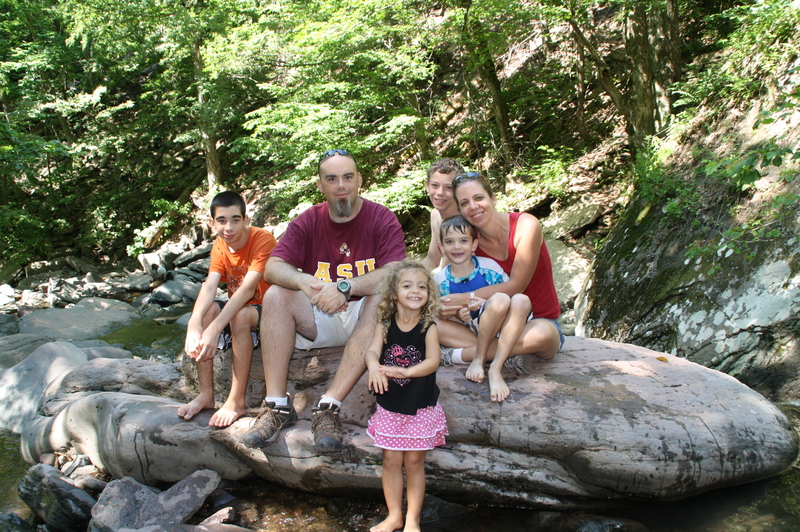 Unschooling is about giving yourself – and your children – the freedom to follow your own natural path in life. Your own natural rhythm. Your own natural style of living, learning, and relating to the world around you. As the kids grow and change and mature, our unschooling days grow and change and mature as well. So what does a day look like? Because our schedule is so crazy, days at home tend to lean towards a lot of down time. For the 15 year old, that might mean watching medical shows on TV, researching different career paths, or playing cooperative online games with friends from all around the country. For the 11 year old, it means computer time, and lots of it. He is learning how to design games, running his own server on a game called Minecraft, Skyping with fellow unschoolers, and occasionally blogging. The 7 year old, who tends to be the busiest of the bunch, could be doing anything from practicing his reading, to playing a board game, to watching Mythbusters, to building a dam in the backyard. At four, my daughter mostly wants to be with mom! We swing, play pretend, bake, color, watch TV, dance, and read books. When our schedule shifts – as it always naturally does – we simply shift with it. More time at home means more involved projects, more time together, and often times even more individual growth. I am thankful that our lifestyle allows us the freedom to ride the changing tides as they’re placed in front of us. Rather than getting burnt out by the crazy times, or boxed in by the quiet times, we’re able to embrace and learn from both. We’re able to follow the individual callings placed on us by God, instead of feeling bound by a school’s schedule, curriculum, or agenda. When we need downtime, we take it. When we need to feverishly research or read or practice or experiment for hours at a time, then we do that too. On many days, our reality is somewhere in between. But some of the greatest experiences in life are in the extremes… the unexpected moments, the crazy moments, the still moments, and the detours. Unschooling allows us to learn, wholeheartedly, from all of the above. Comment Below to Enter the Giveaway Drawing! Time for a giveaway! Today it’s a fun card game illustrated by our very own Heather. 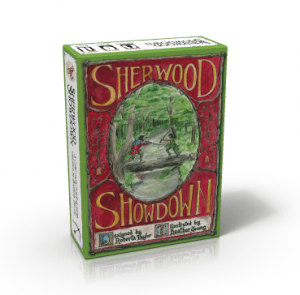 Sherwood Showdown will be great fun for you and your unschoolers. Winner will be drawn next Tuesday, April 10th.